Along with the clutter at my mom’s house, I came across a couple beloved childhood collections: matryoshkas (Russian nesting dolls) and glass animals. Years earlier, in a fit of purging, I had emphatically told my mother to just get rid of them. My mother, however, did not comply and I was once again confronted with my collections on this latest visit. Now the control was in my hands. Ugh. More kryptonite for the Deletist. Collections are in a different class than regular, junky clutter. I’m talking about real collections, not the ones featured in the previous posting of moldy bassoon reeds and crumpled notes from middle school. I’m referring to collections that are hand picked, cared for and cultivated over years. The kind of things that bring us joy to look at or be around. Our memories are tied to them. But what about when we cease to have a connection with them physically, emotionally and/or spiritually? Should we still hang on to them? Or should we give them a new home where they will be appreciated fully? 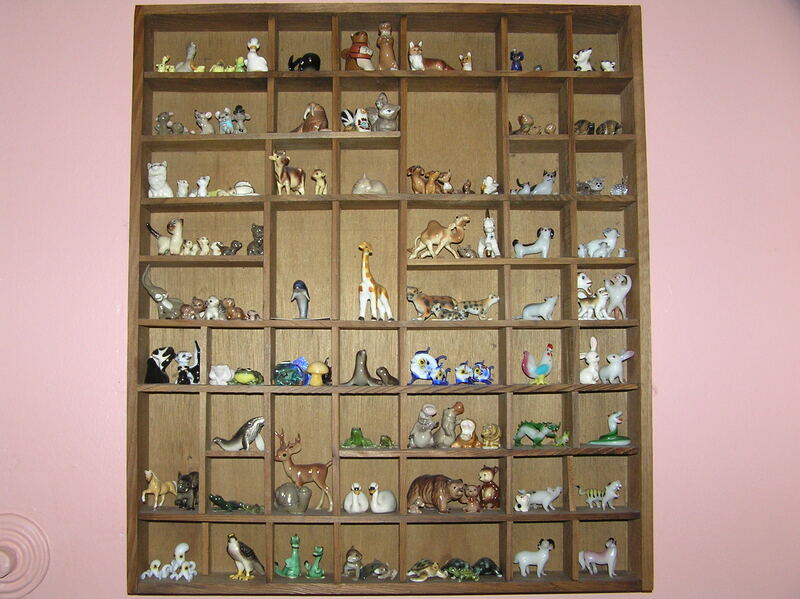 I’m quite sure that my collection of glass animals started with a pair of Whimsies when I was about five. We were visiting family in Bermuda and I had my first loose tooth. After trying all kinds of archaic methods to pull it out, I eventually wiggled it free on our last day. I woke up the next morning with a rabbit and a fawn under my pillow. Both are front and center in the picture along with the others. 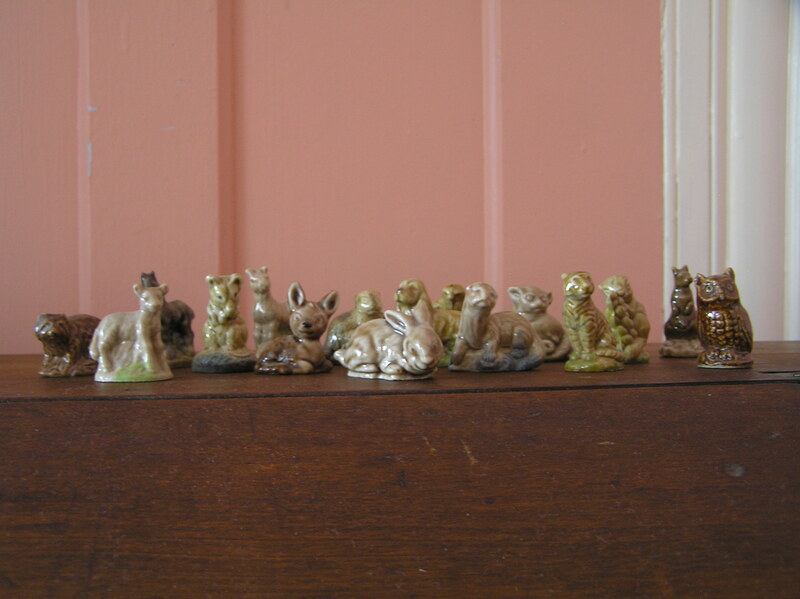 Wade Whimsies – small glass animals that come free in boxes of Red Rose Tea. From that point on I went crazy. 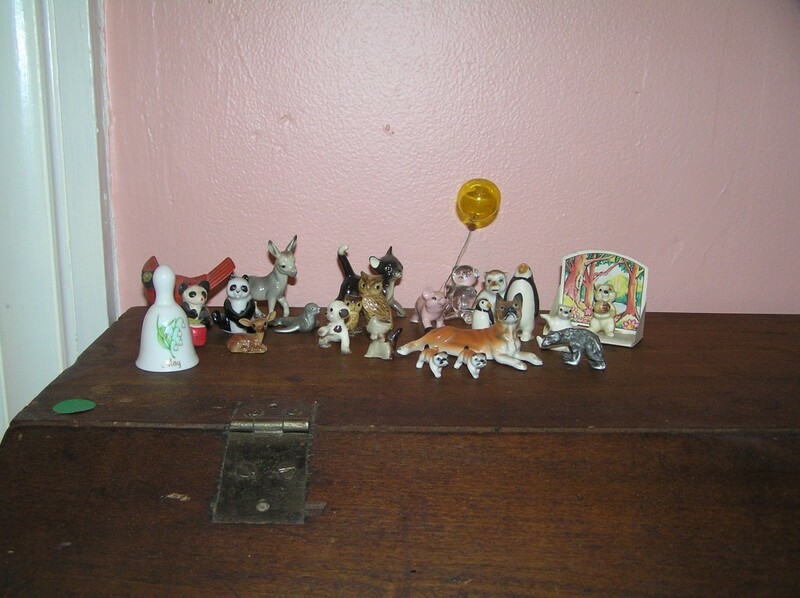 For years I saved and spent my allowance on miniature animals, mostly glass. On vacations I purchased them as souvenirs. People gave them to me as gifts. Each one was carefully selected to satisfy a specific purpose. I stopped collecting them over 20 years ago, and my brain, once soft and spongy, can only recall some of the memories associated with the collection. A portion of the collection. Within my collection is a sub-collection of the Chinese New Year animals. They were given to me by my mother’s friend after she took a trip to China. Collection from China that includes a few extras I found over the years. 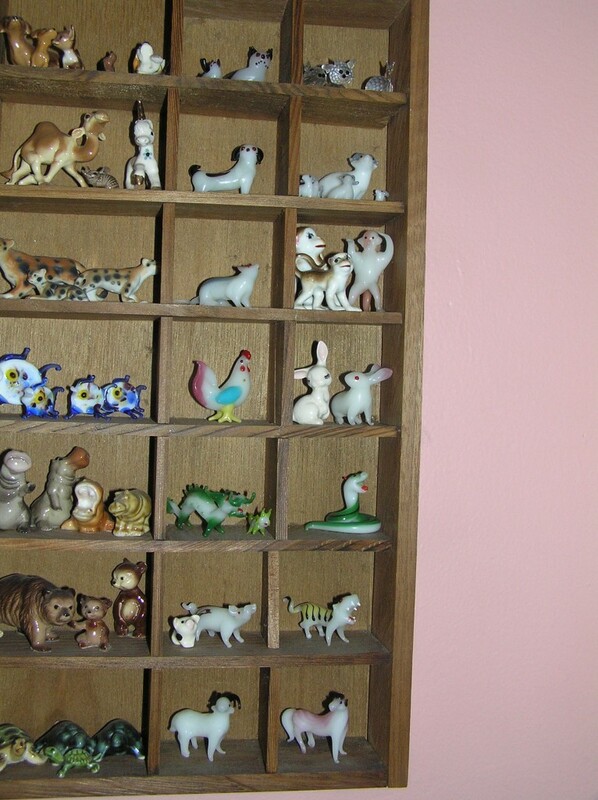 And the rest of the animals that, along with the Whimsies, didn’t fit into the shelves. At one point they had their own shelves which disappeared when the room was repainted. Additional miniatures that didn’t fit in the cabinet. So here’s the dilemma: save or purge? Purge! Or at least, purge most of them. I know you have fond memories related to them but what are you going to do with them? They had an important place in the house where you grew up but do they really fit in your house now? Have you missed having them with you for the last 20 years? You can keep the memories but you don’t need over a hundred figurines to remember them. You can take a few more photos and maybe even select a one or two miniatures that you can display in your house or keep in a box of mementos. I know you can do it! 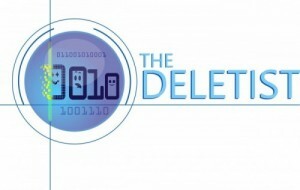 The Deletist can do it! Exactly! And have you ever thought about the effort involved with dusting that collection? It takes a LONG time. Thank you for the encouragement. Everybody else, so far, has voted to save them all, though going for the partial purge is also an option.